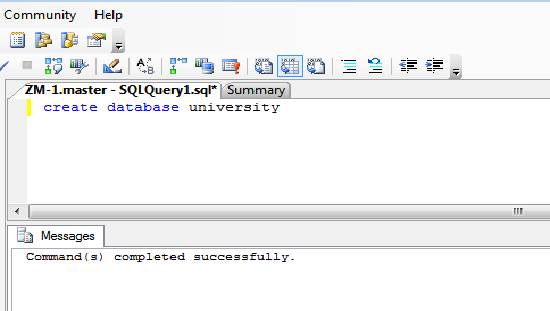 The SQL statement create database is used to create the user defined database. SQL server provides the facility to create your own database so you can use this command. In this chapter, you have learned about creating a database with an example so now you can create your own database to store the records. In the next chapter you will learn about rename database.